Spencer Wheelwright is dedicated to helping people and projects succeed. Whether he's helping individuals and families find the right home for them, outlining and executing projects, or finding ways to improve customer experience, Spencer's tenacity and attention to detail demonstrate his commitment to others' success. A people-person with a strong ability to quickly build effective working relationships both within teams and across transactions, he is a reliable team player working for the good of those he represents. His MBA and experience in the corporate environment have made him dedicated to numbers-backed decision making to maximize financial success. 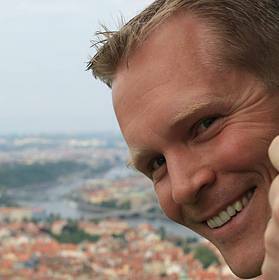 Spencer Wheelwright is founder of Family Explorers, a site dedicated to helping parents plan and execute meaningful and memorable travel experiences with their children. Your favorite Austin Area Real Estate Expert! I work hard each day to understand the Austin area market and go to work for my clients. Helping you maximize the investment in your home, whether buying, selling, investing, or leasing. Backed by RE/MAX 1, Austin's top RE/MAX office. I'm ready to serve! Senior Product Manager at Protect America, Inc. Managed product portfolio for home security company. Introduced new products, developed new vendor relationships, and explored industry trends in order to improve competitive positioning for the company. eDell Global Online - Customer Experience at Dell, Inc. Drove definition and prioritization of online improvements based on customer feedback, including online customer surveys (iPerceptions, OpinionLabs), loyalty surveys (NPS), direct customer interaction, and web analytics (Adobe-Omniture, Tealeaf). Calculated estimated customer experience benefits of upcoming/planned projects. Product Marketing Manager - Blade Networking at Dell, Inc. Managed portfolio of blade server, blade chassis, and blade networking products. Met with customers to gather customer needs and understanding of market landscape, as well as to educate customers on Dell's portfolio present and future. Drove features and capabilities into new products based on customer needs. Worked with marketing team to develop and hone sales- and customer-facing messaging. Trained new sales hires on product portfolio and competitive positioning. Project Manager - ODM Manufacturing and Capacity Planning at Dell, Inc. Developed long-term manufacturing plans for Dell Americas' manufacturing operations. Implemented initial adoption of ODM fulfillment of Dell products and associated I/T efforts, including requirements definition and routing rules for orders. Managed team of order expeditors during peak periods to improve customer delivery times. Residential real estate, marketing, travel/tourism, maps, education, music, deal hunting, and time with friends and family.